Avalon 3 is a beautiful property across the road from Convent Beach and Lovers Point. 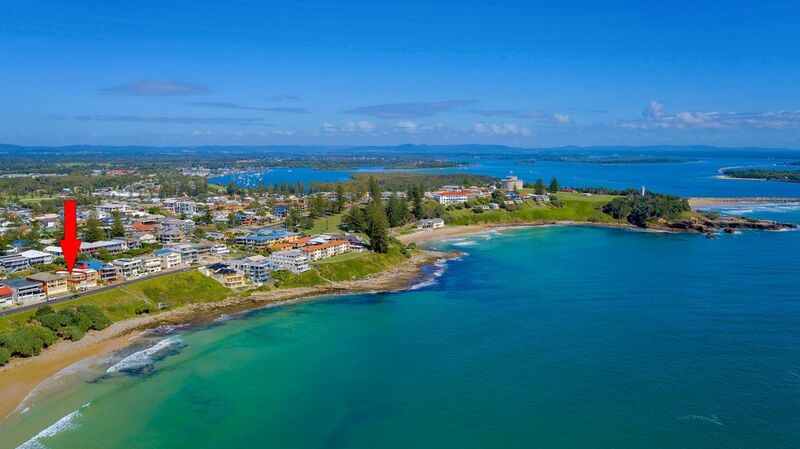 The property is close to Main Beach, which is Yambas patrolled beach with a beautiful sea pool. Situated on the ever popular Ocean Street, Avalon 3 has uninterrupted north and north easterly views ,capturing summer breezes and depicts 'holiday' the moment you walk through the doors. Beautifully well appointed kitchen also capturing the views through the large glass windows. Funky comfy lounges, with a great feel, flat screen TV in lounge and main bedroom. This property is within easy walking distance of Main, Convent and Pippi beaches Yamba and the Clarence River. Close to shops and restaurants, be quick to book this very popular holiday property! The view of the Pacific Ocean is absolutely gobsmacking and will stay with us all for a long time to come. It's as close to heaven as it's possible to get and, even if you do nothing else except sit on the balcony, then you won't have wasted your time. The flat itself is comfortable and has everything you need. The decor is a little tired but you won't care as you'll be staring out to sea! Thank you for your feed back. Were so glad you enjoyed that fantastic view. We will pass you comments on regarding the decor.